The Irish VIllage Markets are delighted to announce the addition of Park West to their weekly street food markets. Park West is a large business park within west Dublin and is notable for its public art and integrated residential development. Over 300 companies, with over 10,000 employees are based within the business park. 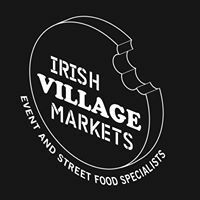 Irish Village Markets will setup on the busy Plaza every Friday from June 15th 2018 with a hand picked selection of international street food vendors. Seating and music will be added to the market for customer’s enjoyment.